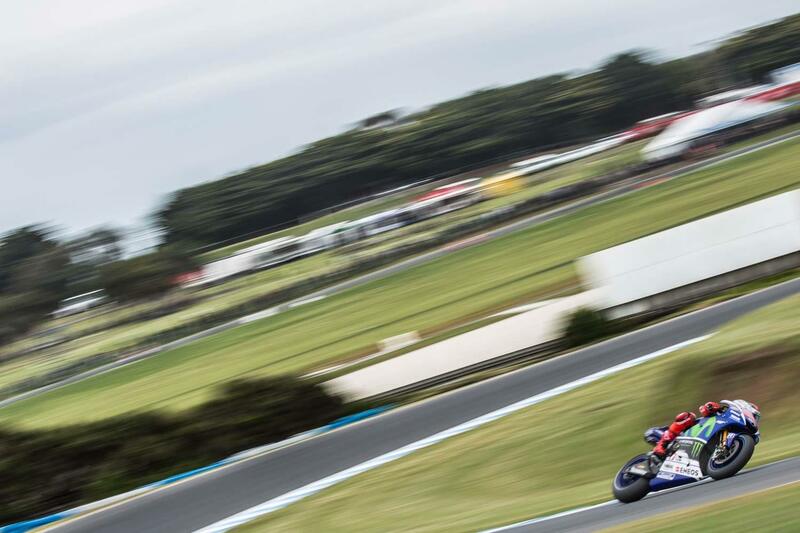 Jorge Lorenzo went fastest on his final lap of FP1 at Phillip Island before rain started to fall and the final five minutes of the session were a wash out. The Spaniard had been biding his time in the early stages of the session but jumped to the top of the timing screens to finish a third of a second clear of Marc Marquez with Valentino Rossi half a second off the pace. 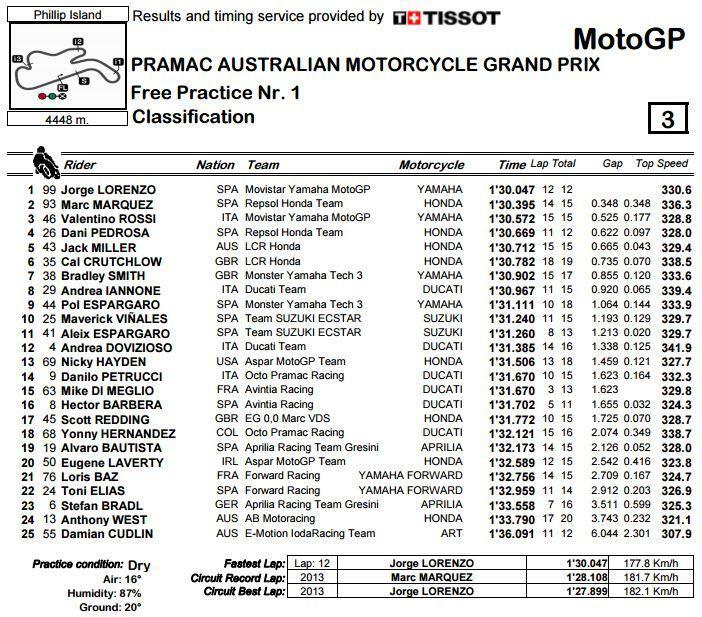 Jack Miller had a hugely impressive session to finish fifth fastest just ahead of his LCR teammate Cal Crutchlow with Bradley Smith seventh quickest.